From time-to-time, ID card printer ribbons can get stuck in your card printer and tear if they are not cared for correctly. If this happens, don’t throw the ribbon away. It can be easily fixed. Once fixed, you can continue to print without the need to purchase a new ribbon, saving you time and money. If you have a job in the queue, then pause this job straight away. Switch off your printer at the mains. Lift the printer cover and unlatch the print head. If you need help locating the print head, then firstly, check our Youtube channel to see if this has been covered in one of our videos, or search for your printer manufacturer. If you are unable to locate a video, then please call our support team direct on 0161 475 5346. Next, remove the assembly cartridge containing the ribbon. There will be 2 spools, the ribbon supply on the right side and the take-up spool on the left side. Make sure to note which side is which so that you can reinsert them in the proper place. If the ribbon is stuck to the card roller or stuck to a card, simply pull the card and the ribbon out. Remember to clear your printer completely of debris, cards and torn ribbon. Next, Lie the spools on a flat, clean surface with the torn ends facing each other. Cut the torn ends to get a straight edge. Overlap the two edges, and using only scotch tape (Do not use duct tape or electrical tape) tape the ends together. Reinsert your printer ribbon cartridge in its proper position, latch the print head, and close the cover. Switch the printer back on. Your printer will automatically recalibrate itself to position the ribbon at the colour position you need to continue printing. If the above process does not work, then please contact our support team direct on 0161 475 5346 or email support@digitalid.co.uk. *Please note, if the ribbon or printer was not purchased directly from Digital ID, a small fee may be charged to cover the time of our support team. If you are having continued problems with your printer ribbon breaking, here are a few tips for you to implement to help prevent ribbons from breaking in the future. Carrying out a regular cleaning cycle is vital in reducing the chance of both a ribbon and print head breaking. Over time, dust, debris, oils and ink residue build up and can be very harmful to your printer, causing ribbons to break or get clogged up with dirt. By regularly performing cleaning cycles (we recommend at every ribbon replacement), this removes the damaging build-up of debris, allowing you to continually print clean cards and prolong your printer’s life. Our advice is to follow the printer manufacturers guidance when completing a cleaning cycle and remember to only ever purchase genuine cleaning kits. Most standard ID card printers can get pretty close to the edge of a card but shouldn’t ‘bleed’ over. The closer you get to the edge, the more chance you have of the ribbon breaking and every device is different in what margins it can print within. It’s useful to print a test card and see how close to the edge you are printing and whether this needs to be pulled back a millimetre or so. Regular breakages of the ribbon are usually down to this type of problem and can easily be solved by resetting your parameters. If your weekly, monthly or yearly print volume requirement has increased dramatically, or you are introducing too many colours at one time, you may find that the area around your ribbon heats up a lot quicker then normal. This can easily lead to a broken ID card printer ribbon. Don’t worry, there is a simple fix. Log into the software settings and change the colour parameters. This will allow you to print more colours at once and will prepare the printer for a larger volume. Similar to having a clean printer, you also need to have clean cards to print onto. This is where the dust and debris build-up in your printer comes from, so by checking these cards are free from debris before printing, you are already reducing any risk of damages. If you are printing slot punch cards, then we always recommend that you print your cards in the first instance and then use the slot punch rather than the other way round. 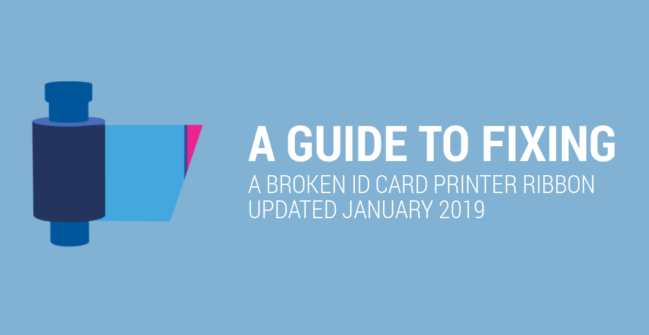 If you’re using a direct-to-card printer, they’re not designed to print complex designs and over the edge card coverage. You may need to move or resize your images to keep your design away from the edge. 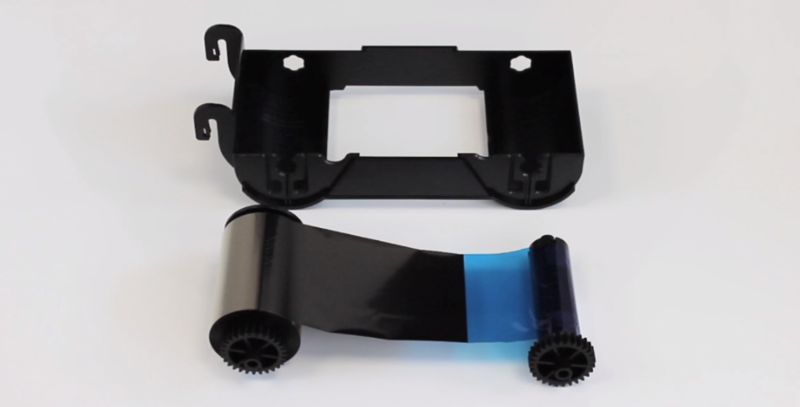 If you have tried all the solutions above to prevent your printer ribbon from breaking but are still having problems, then it could be time to upgrade your machine. Just like all technology, over time printers become outdated, and it may be time to trade in your printer for a new model. Speak to one of our ID experts about getting the right ID card printer for you and discuss our current trade-in offers. Adam has been the Digital Marketing Manager here at Digital ID since 2015. Adam is in charge of the content creation and promotion on our blog and has been featured on sites like Entrepreneur, Talk-Business and Brighter Business to name a few. See what he gets up to in the office by following him on Twitter @adamjbenno. We offer a price match promise on every item we sell. If you have received a cheaper quote, or seen the product cheaper online, simply let us know and we'll match it. NEED HELP PURCHASING A NEW ID CARD PRINTER?